Hunt with the Best Hunting Outfitter in Idaho! 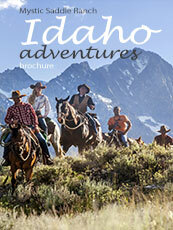 Mystic Saddle Ranch offers some of the best-guided hunts in the state of Idaho. No matter what species you have hunted before, MSR can customize the perfect trip for you. MSR offers guided hunts for Elk, Deer, Bear, Wolf and Mountain Lion. As the hunting community grows, guided hunts are fast becoming the outdoorsman’s perfect opportunity to hunt big game in new country and be successful. By doing a guided hunt, you can focus on the primary objective of harvesting your desired game while leaving all of the cumbersome tasks of camp to the outfitter. Let MSR staff cook, clean, prep and manage stock so that you can simply hunt. MSR guides are trained professionals and will do their best to ensure that you have an enjoyable trip with the best hunting opportunities possible. MSR stock will carry you where you need to be to find game and are also key in packing out what you harvest. No more worrying about packing out elk quarters on your back! 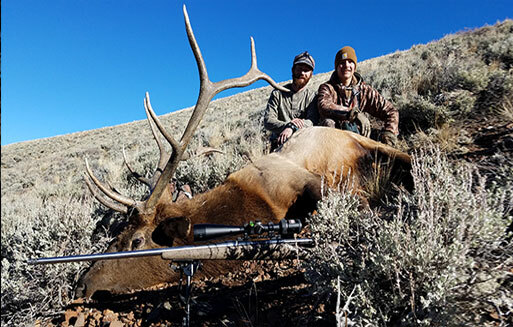 The 2018 season offers new opportunities to hunt trophy elk as MSR has acquired a draw-only unit. The hunting in Fish and Game Unit 36A-2 is spectacular and the tags are some of the most sought after in Idaho. As the licensed outfitter in this unit, MSR is allotted four rifle tags and numerous archery tags. The draw-only unit ensures that hunting pressure is low and the excellent range conditions have made the unit prime habitat for trophy elk. The sportsmen who book these hunts have the opportunity to hunt bull elk during the rut. There is nothing quite like the sounds of a massive bull elk bugling in the cool fall morning air.